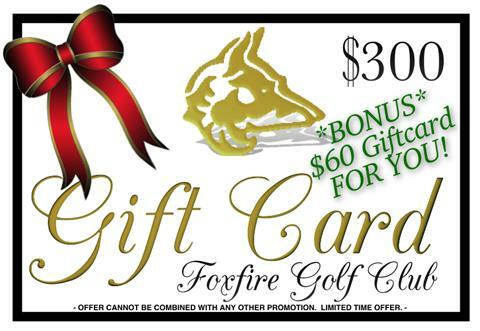 Foxfire Insider News - Nov 2018 Edition - Online Deals, Tournaments & More! ️‍♂️ Don't put those clubs away just yet... Greenskeeper Revenge is back! ▪️4-Person Scramble, $160 per team. 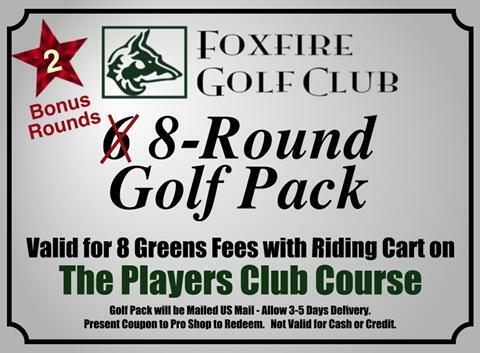 ▪️Includes: Greens Fees/Cart/Prizes & Lunch! ▪️Register Online or call the Pro Shop 614.224.3694. Mark your calendar for Friday, Nov. 23rd!  Black Friday! ▪️4-Person Scramble, $140 per team. ▪️Includes: Greens Fees/Cart/Prizes & Homemade Chili Lunch! ⭐️Bonus Gift Cards & Golf 6-Packs with +2 Bonus Rounds return for a Limited Time! ▪️Gift Cards redeemable for Greens Fees, Lessons, Food & Beverage, and Pro Shop Merchandise. ▪️All Orders are sent out within 1 Business Day. 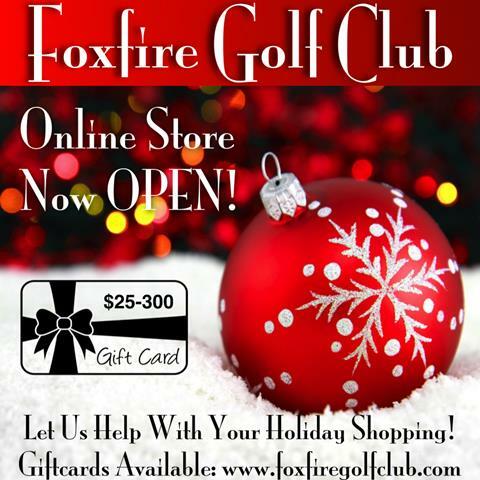 Giftcards will be emailed.